I, William, son of John Halls and Susanna Selston, was born May 25, 1834 in Orsett, Essex, England. My father used tobacco and strong drink and some men who boarded at my father’s, just for amusement, taught me to smoke; it was fun for them to see me rock my cradle and smoke my pipe. I didn’t do this long, as I don’t know anything about it, only as I’ve been told. By heredity and environment I had every chance to have never acquired this habit. My father was a farm laborer, having no property and receiving low wages. Therefore, we were quite poor. I was the eldest of four sons, and at the age of five or six, I was called to work on the farm, herding sheep and swine, and doing little chores, with no chance of schooling. When I was about ten years old I thought of my father’s illiteracy and the state of our family, and the question came to me, “Are you going to repeat the history of your father – grow to manhood, marry, and raise a family in like conditions?” And the answer came to me, “No, there is something better than that for you.” And without suggestion or encouragement from anyone I was prompted to buy books and learn to read. The only help I received was from my mother, who could read. She pronounced the words in my spelling lessons to me. I also bought pens, ink, and copy books, and learned to write without any assistance. My parents being Episcopalians, I attended the services of that church. I studied the scriptures, the church catechism, and articles of faith; I attended to my daily prayers and did right as near as I knew how. But I wasn’t satisfied. There was a soul hunger, a longing for spiritual life. The future was dark and uncertain. I had a constant fear of death. This was my condition till my fifteenth year; then one Sunday I heard there was to be preaching near my home, and I determined to stay away from church (something I had never done) and attend that meeting. So strong was the prompting to go to that meeting that nothing but force could have restrained me. I went and I learned that the preacher was called a “Latter-day Saint.” Until then I had never heard of Latter-day Saints. I saw the person and heard the voice, and though that is sixty-eight years since, the words are as fresh on my mind as if they were spoken yesterday, and from that time not the shadow of a doubt has crossed my mind in regard to the divine mission of Joseph Smith and the truth of this work. I only heard a few sermons, and then I never saw nor heard of a Latter-day Saint for a year and a half. I told no one of my experiences, and I felt condemned because I had not been baptized when I had the chance, and my fear of death was greater than before. As soon as I heard of them again, I lost no time. On the twenty-sixth of January 1851, I was baptized, and when I came up out of the water the first thing that came to my mind was the fear of death was gone, which was a great comfort to me. That soul hunger was satisfied; that longing for spiritual life was supplied. Soon after I was baptized I was ordained a teacher and was sent to visit the members in their homes. Through my testimony my mother, sister, and three brothers joined the Church. When I was eighteen I was ordained a priest and baptized my father in the River Thames. In a day or so on Sunday, I went with others to adjacent villages to preach in the streets. One Sunday after opening the meeting by singing and prayer, Brother William Shill was called to speak, but instead he motioned for me to speak. I did so. After meeting he gave as the reason for not speaking that he was dumb. The next Sunday at same place, after opening the meeting as usual, I was called to speak, and I was dumb. But I thought, I have been called to speak and I will not yield to that spirit. I stood looking at the people, and soon, by the exercise of faith and secret prayer, I was able to speak. That spirit never troubled me again. 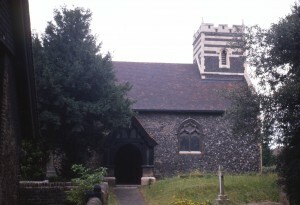 When I was nineteen, I was ordained an elder and called to preside over the Orsett Branch. Then I had a strange experience. A cloud of darkness suddenly came over me. It seemed as if I was given over to the buffetings of Satan. No answer to prayer, no light entered my soul. I said nothing to anyone but continued to press on and do my duty as best I could. This continued three weeks. Then as suddenly as it came, it left me, and that spirit has never returned. I believe that experience taught me the difference between the light of Christ and the darkness of Satan. When I was eighteen years old I quit working on a farm and went to work on the railroad, building bridges, and learned to use tools and work with the carpenters. I worked on different public works for over two years. In 1854 I worked in London helping to build the Westminster bridge across the River Thames. I had an ambition to become a master mechanic and contractor of public works. But just then I was called to go and preach the gospel without purse and scrip. This call was unexpected and some trial to me, but I knew I was called by divine authority and that it was my duty, so I went and traveled four years in the Essex Conference. Then I was called to preside over the Lincolnshire Conference. I found that conference heavily in debt to the Liverpool Office and no assets to balance the account. The branches were widely scattered and poorly organized. All the help I had was two young men without experience in the ministry. I felt cast down. I felt I had a burden too much for me to bear. Just then I dreamed that I was in Salt Lake City with President Young in his office. I turned to him and said, “President Young, how can you bear the care of all this Church?” He returned to me with a smile and said, “Why Brother Halls, this is not my work; it is the work of God, and he is carrying it on. I have but to do my duty and leave the result with him.” This suggestion was a lifelong blessing to me. I cast off all care and worry, went calmly along to do my duty, trusting in God for the result. The conference was soon out of debt, the branches in good working order, and I was very much blessed in my labors. Many sick and some very serious cases were instantly healed under my ministry. I was one year and two months in Lincolnshire, then was called to preside over the Bradford Conference in Yorkshire. During my first few months in Yorkshire I had a rather severe lesson in patience and self-control. The Bradford conference was in the Sheffield pastorate, comprising the Sheffield, Bradford, Hull and Lincolnshire Conferences. During my stay in Yorkshire I labored under three presidents, Joseph F. Smith being the last. I became well acquainted with Joseph F. and learned to appreciate his character. I found him a true and faithful friend entirely free from hypocrisy. In the spring of 1861 I was released from my mission, and April 15th I was married to Louisa C. Enderby by Joseph F. Smith. And soon after we left for Utah. We crossed the sea in the ship “Underwriter.” Elder Milo Andrus had charge of the emigrants, assisted by Elders Homer Duncan and Charles W. Penrose. The company was divided into wards, each in charge of an elder. I had a ward of eighty members, all women. On arriving at Florence I had twenty-five cents in money. Odell gave me some bread without my asking him, after which I found money in my pocket, enough to pay my expenses while in Florence. I never knew how the money came into my pocket. On the plains I had mountain fever. For four days I could neither eat nor sleep and was in dreadful pain. On the fourth day I felt that I was dying, that I couldn’t live another day. Then the question came to me, “Is it this time for you to die? Have you finished your mission?” And the answer came, “No, you are only just married; you have not received your endowments and sealings; your mission is not done. If you will send for Elder Marus Ensign to administer to you, you will be healed.” (Brother Ensign was one of the teamsters.) They laid their hands on me and I was instantly healed. From that time I had no pain and gained strength. We arrived in Salt Lake City September 15th. We were homeless, penniless, and helpless, and owed the Perpetual Emigration Fund one hundred and sixty-five dollars for our passage across the plains. Having done no manual labor for seven years, and being feeble from illness, I was unable to work. 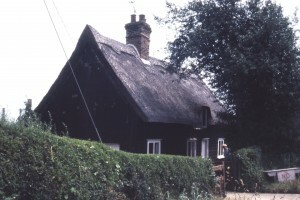 But we had arrived but a few minutes when Brother Edward W. Davis of the seventeenth ward took me and Louisa to his house and gave us home and board free of charge. Brother Davis was a carpenter, and as I gained strength I helped him some. But it was little I could do. We stayed with Brother Davis six weeks. Then I was offered a position as school teacher in Kaysville. We moved to Kaysville and I taught school there that winter. 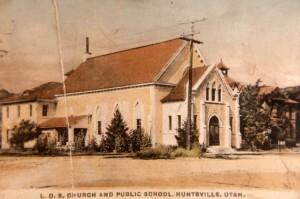 In the fall of 1862 we moved to Huntsville, Ogden Valley, a new settlement, and I taught school there that winter. In the winter of ’63-64, I taught school at Mound Fort near Ogden. In the summer of ’64 I drove a team across the plains for emigrants, by which I paid my debt to the P.E. fund. I was greatly blessed that summer, as I not only paid my debt, but providentially I earned more money than I could have earned had I stayed at home. After teaching school in winter and working mostly at carpenter work in summer, for ten or eleven years, I found myself with very little property and a growing family increasing on my hands. Then, that I might obtain means to sustain myself and family and furnish employment for my boys, I quit teaching school and engaged in farming, stock-raising, and dairying, and was quite successful. 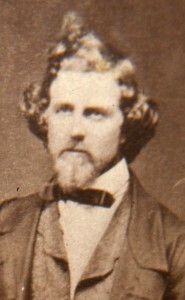 In 1869 I was ordained a seventy for ward work by Elder A. M. Musser and set apart as one of the presidents of the seventy-sixth quorum, which position I held for eight years. In 1877 I was ordained a high priest by Apostle F. D. Richards and set apart as first counselor to Bishop F. A. Hammond of the Huntsville Ward. I was clerk of the Huntsville branch under the presidency of F. A. Hammond. I was secretary of the Huntsville Co‑op Institution nine years, from its organization till its dissolution. I was a member of the Dramatic club and played on the stage several years. I took a part also in the debating society and was postmaster some years. In the spring of 1885 I left Huntsville with F. A. Hammond for the San Juan mission and arrived in Bluff in May. In June the San Juan Stake was organized, with F. A. Hammond president, and I engaged in farming. The San Juan Stake extended from Moab on Grand River, Utah to Canyon Largo, on the San Juan River, New Mexico. I spent a great deal of my time in attending the quarterly conferences and visiting the wards, mostly traveling alone, till November 25, 1900, when President Hammond and I were thrown from a carriage and he was mortally wounded and died in a few hours. I was hurt some, but soon recovered. I was acting president of the stake till August 1901, when Elder Platte D. Lyman was chosen president and I his first counselor. Brother Lyman died a few weeks afterward and I was again acting president until May 1902, when Walter C. Lyman was chosen president and I his first counselor. May 17, 1908, I was ordained a patriarch by President F. M. Lyman. In 1911, Brother Walter C. Lyman was released and Elder L. H. Redd chosen president, with David Halls and Albert R. Lyman counselors. In May 1912 the San Juan Stake was divided, and the Young Stake consisting of the wards in Colorado and New Mexico was organized, with David Halls president and H. M. Taylor and J. H. Hammond counselors, since which I have acted as a patriarch in the Young Stake. In my ministry in this mission I have traveled about forty‑five thousand miles by team, over a country varying in elevation five thousand to eight thousand feet, in all seasons, mostly alone, camping out frequently many miles from any settlement. As patriarch I have blessed over seven hundred members of the church. The past few years I have worked some in the Salt Lake Temple. I have worked and paid for over eight hundred dead. I have spent a great part of my life in missionary labor, but my work in the temple has given me more joy than all the rest of my labor. I have sometimes felt that I might have been foreordained to fill a mission. In looking back on my life in series it seems as if I was led at an early age to prepare for my work. 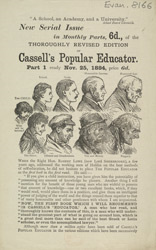 When ten years old I was prompted to learn to read, and when at twenty I commenced my mission, I not only studied the scriptures to help me in my ministry, but I bought books, and subscribed for “Cassell’s Popular Educator,” a monthly magazine, designed for self‑students who couldn’t go to college. And all through my seven years labor as a missionary I studied to learn the fundamentals of education so that when I came to Utah I was able to teach school. While teaching I studied especially mathematics. In this mission I have found use for this training, as I have acted as stake tithing clerk for many years, filled two terms as county superintendent of schools, nine years as director of the Mancos town schools, being brought into contact with college graduates and supervising their work and answering their questions. I have been made to fully realize that without this preparation I could not have performed my mission and filled these positions. As regards my family, I was married to my first wife, Louisa C. Enderby, April 15, 1861. She had six children, five sons and one daughter, all yet living. She died May 25, 1911 in Huntsville. I was married to my second wife, Johanna M. Frandsen, June 26, 1871. She had twelve children ‑‑ four sons and eight daughters. Eleven are yet living. She died Dec. 15, 1913 in Mancos. I was married to my third wife, Eleanor Howard, January 8, 1880. She had one child, a daughter now living. She died March 7, 1884 in Huntsville. I have at the present (1917), nine sons and nine daughters, thirty-four grandsons and thirty granddaughters, and nine if not ten great‑grandsons and granddaughters. I am thankful for my family. I don’t know of any of my children nor grandchildren that have brought dishonor on me or on themselves. As to temporal things, I will say that though I have spent much of my time in the ministry, I have not lacked the comforts of life. The Lord has provided for me. If I have needed land, horses, cattle, or money, it has come to me, always just when I needed it. As an instance, at one time I wanted to go to a place and had no money to pay my fare. I said nothing about it. Just then a friend came to me and said, “Brother Halls, I am impressed that you need some money.” And he gave me enough to pay my fare there and back and some to spare. This is one case out of many. The Lord has rebuked the destroyer from my land. At one time when in Utah I had a field of wheat just in the tender blade. I went into the field and found a swarm of crickets all through it. On the side that they came in, there was a narrow strip eaten clear to the ground. I was alone and helpless, and I stood on the edge to the field and lifted my hands and prayed to the Lord to turn those crickets away, and immediately they hurried off. In a few minutes there was not one to be seen on the field. They never returned, and the crop was saved. I have lived in my own home and cultivated my own land. I have never mortgaged nor gone in debt. I haven’t bought that which I couldn’t pay for or taken anything on the installment plan. I have never fretted, nor worried, nor worked beyond my strength. I have prospered not by my own wisdom, forethought, nor management, but by the providence of my heavenly father. In regard to the spiritual things, I know that from my childhood the Lord has watched over me, and preserved me from evil, and guided me by the prompting of his spirit whenever it has been necessary for my good. When on my mission I started one morning intending to go to a certain town to preach on the street. As I was going on the way, the spirit prompted me to go to another place, and when I got to the point leading to said place, I turned and went as directed. When I got there I found a young girl in a dying condition. She had prayed to the Lord to send Brother Halls to administer to her, and she was healed, came to Utah, married and became the mother of a large family. While living in Utah, walking in a way that seemed right to me, and was perfectly satisfied, the Lord spoke to me by his spirit and told me to do that which seemed a great trial to me, but I knew it was the voice of the Lord, so I humbled myself and made a covenant with the Lord that I would obey his will, and prayed for guidance and wisdom. Immediately the trial passed away. The yoke was made easy and the burden light. It turned the course of my life. It has been the rule of my life to yield to the voice of the Holy Spirit, and though at times it has seemed a trial, I have always found that it was for my good. When I think of my experiences, I feel that I cannot be thankful enough to my heavenly father for his love and tender care over me. In my travels I have several times been preserved from danger and death. As an example, one day I was traveling over a high divide in deep snow. I knew the road well, having traveled over it all seasons for twenty years, but about fifty rods before reaching a dugway leading into a canyon, I became bewildered, and lost the road. All seemed as strange as if I had never seen it before. After wandering around some time, unable to find the dugway, I went back to the house I left in the morning. Two days after, when I went over the road again with a young man and extra team to help me through, all was plain, and when reaching the summit, there were my tracks not twenty feet from the road, and the dugway in plain sight. We started from the spot and soon came to a place, where, if I had been alone, I could not have gone forward, nor turned back, and having no bedding and being very cold – January 12th — I must have frozen to death. In all my travels, before and since, I was never bewildered, but that saved my life. As a fond mother watches over her helpless child and shields it from danger, so has my heavenly father watched over me, and preserved me, and led me by his Holy Spirit in the way of life. He called me in my youth into his service, led me from my native land, and gave me a home with my family in these peaceful valleys, and has provided me with all the comforts of life, for my physical, mental, moral and spiritual welfare. Since, in answer to prayer, the Lord gave me by revelation a testimony of the truth of the Gospel, and the divine mission of Joseph Smith, not the shadow of a doubt has crossed my mind. As time has passed and my experiences extended, my testimony has increased. My desire is that I may continue faithful to the end, finish my mission on earth, and go in spirit and visit those for whom I have labored; that I may be worthy to come forth in the first resurrection, and have the companionship, love and affection of the wives that have been sealed to me in this life in the Holy Temple; that my children may be humble, put away pride and vanity, and trust in the God of our souls and keep his commandments; that they may have joy in this world and eternal lives in the world to come. 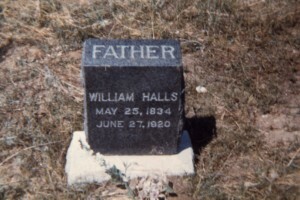 William Halls Tombstone, Webber Pioneer Cemetery, Mancos, Colo. This work will roll on till the knowledge of God covers the earth. The righteous will increase and spread abroad, as the wicked slay the wicked and are cut off. Christ will come with his saints and reign on earth, and all the words of the prophets will be fulfilled.